If you read most of the investment books out there, what u keep hearing them say is for you to not just work, but let your money also work for you. What they mean, is for you to invest your money and let it earn you interests (more income). But what virtually all the authors if this books fail to include is how and where to invest your money in other to make it work for you. Which is the main motive behind this post. Before I begin, there are lots of ways to invest your money online & offline (more conventional ways) and get interests on a daily, weekly, or monthly bases such as putting it into a business or investing in bills, bonds and properties etc. But am not here for that. As you and I know the rigor behind those methods. 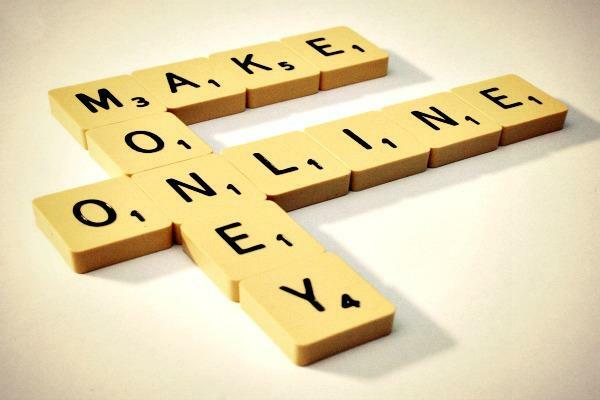 So what I bring to you are a list of 6 easy ways (though risky) I and a host of others make quick money online or rather double our money without actually working or doing much. This are the new methods which majority are taking advantage of. So am gonna list only but a few of this online investments that I feel you can trust. At least 97% trusted as nothing is 100%. Though I will implore you to still do your own research before investing. MMM is a very popular investment program out there which involved members donating money to each other using the terms provide help and get help (PH & GH). In fact if you're not a participant/member of MMM or haven't heard of it at all, I can confidently say you reserve a place in the outaspace - probably in the moon. This program promises those using naira in the platform 30% return on investment in 30 days meaning you earn 1% daily. And 50% return for those investing with bitcoin on the system. I am in it and so are many Nigerians out there. You can register and become a participant of MMM - Nigeria Here. To know more about the program, click here. MMM united is another form of MMM Nigeria. It shares the same principles and ideology but however, not restricted to Nigerians alone as its available for participants worldwide. It uses bitcoin in providing and getting help and promises 100% return on investment in just 30 days. Am in it too and it pays quite huge. You can register for an account here or click here for more info. As the name implies, it is a program that also shares the same ideology with MMM. That is it involves providing and getting help. It promises the same 30% for local currently and 50% for bitcoin in 30 days just like MMM Nigeria. To register, Click Here. Givers forum unlike MMM Nigeria, GHW and MMMunited does not make use of bitcoin but uses only naira. Click here to register for GiversForum. Zarfund is the first donations-platform with bitcoins all over the world. And this ensures that donations arrives very fast. Zarfund offers only a member to member donation-platform. Without detour or fees, 100% and free of charge. Members are controlling themselves. Ultimatecycler is rewarding and trending.... With #12500 you can get #50,000 in less than one week. When you register in ultimatecycler 4 persons will be paired to you and you will be getting #50,000 in just one week interval or less. You must not bring some one to earn your #50,000. Bringing someone only speed up the process in 24 to 48 hours but if you can’t you still earn your #50,000. Its very easy and rewarding. Register here. Having talked about the above 6 new ways to make money online which is not just all about blogging, freelancing, affiliate marketing and co that you've been hearing about, I will like to call this alternative to MMM as most of the programs seem similar to MMM and share the same ideology. Which happen to be the best and legit working method since no central account is required eliminating any possibility of fraud, scam. For questions about any of the program, or authenticity about any program you're in or about to hop into, pls use the comment box. You may also like to see MMM 30% Interest Scam or Legit? My Opinion & Advice! Nice! Interesting detail that I have been looking for on the Internet and that I found in your post. You made my day.